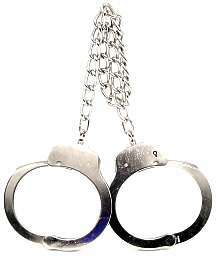 We offer handcuffs, thumbcuffs, and leg cuffs. High quality, professional style. Double Lock handcuffs in chrome finish. Double Lock handcuffs in black finish.